"The club has formalized the signature for one and a half years with Gustavo Poyet." 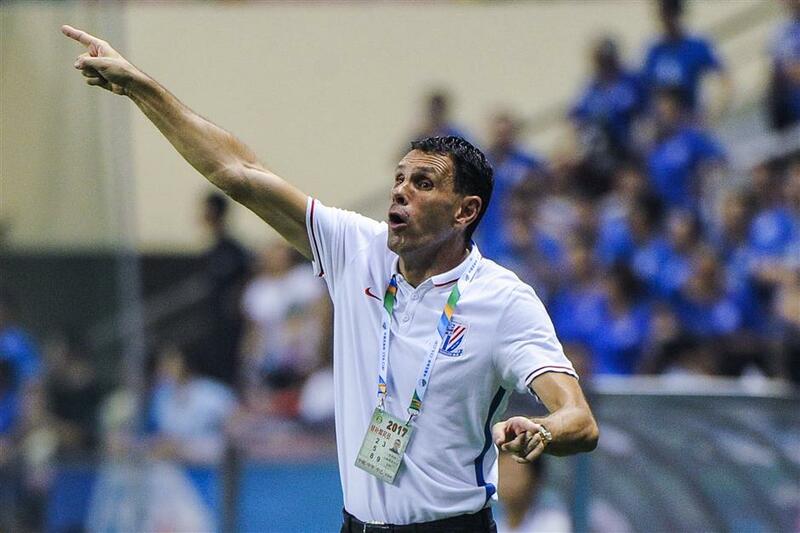 Uruguayan Gustavo Poyet, former head coach of Chinese Super League club Shanghai Shenhua, was appointed as the latest head coach of Ligue 1 outfit Bordeaux on Saturday. "The club has formalized the signature for one and a half years with Gustavo Poyet," read a Bordeaux statement. Poyet replaced Jocelyn Gourvennec, who was sacked on Thursday with just two wins from 14 league outings. Captain Jeremy Toulalan, whose contract was due to expire at the end of the season, also requested a termination of his contract to show solidarity with Gourvennec, and that was later agreed by the club. The 50-year-old Uruguayan will be accompanied by Mauricio Taricco and Fernando Menegazzo, who will serve as assistants during his spell. Poyet, former Uruguayan international midfielder, played for Premier League sides Chelsea and Tottenham Hotspur in his career. Then he coached Brighton and Hove Albion, Sunderland, AEK Athens and Betis, before spending less than 10 months as the head coach of Shanghai Shenhua. Poyet will be presented on Monday afternoon before his first training with the team.